Over the years we have been humbled by the overwhelmingly positive reviews and feedback we’ve received. It’s been a lot of fun to teach people how to ride motorcycles. We have great reviews on Google, Facebook, and Yelp. Not all of it has been great. We have missed some expectations from students. We do always try to make it right but sometimes we are not given then chance. Here is a summary of our negative feedback. Our humor. We want to make learning fun so we add in as many jokes and laughs as we can. We do push some boundaries from time to time. This does end up offending one or two people every year. We think it’s worth it. Laughing students learn better. A serious environment can be a bore and that means limited attention spans. If we personally offend you in anyway, let us know in private an we’ll apologize and adjust. Busy classes. From April to July we have out busiest months. Everyone want to learn to ride. 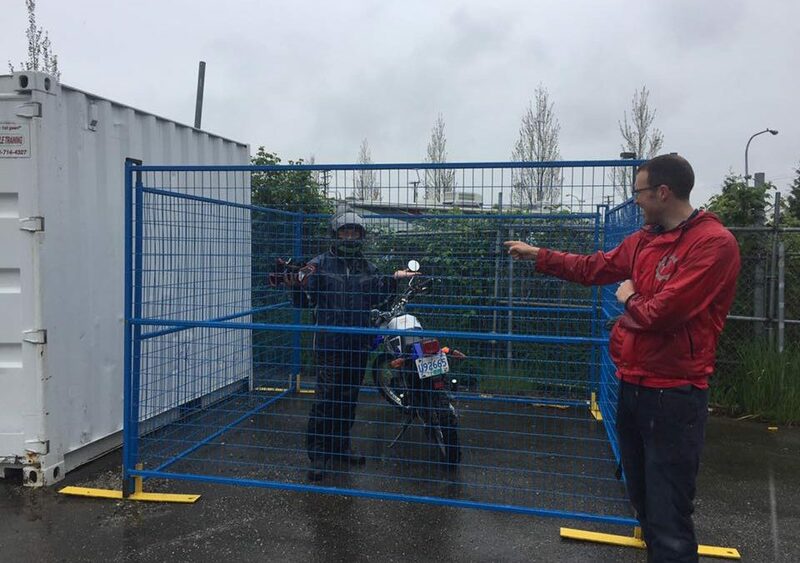 We have the largest training lot, a good number of motorcycles, and lots of instructors. With our big classes we have a higher instructor to student ratio. This ensures you have multiple instructors to communicate with. We always maintain a 5:1 ratio but with bigger classes it is a 4:1 ratio. Our pass rate is still 90% or higher with bigger classes. The course is too short. This is rare when we get this one. This is why we always invite students who need more time back to the lot for another day or two. We’re fine if you need more time. It will not cost you anything extra. Please ask if you are not ready an need more time. We’re too mean and we should fire Lionel. We assure you the only tough communication you’ll receive is verbal. The motorcycle administer the physical abuse! Learning to ride carries huge risks out on the road in the real world. If we see you doing something dangerous, we’ll yell. Better to fix it in the safety of our training lot than anywhere else. As far as firing Lionel goes, we want to keep him. He has a tough exterior but is all soft on the inside. His verbal delivery on the tougher exercises is worth keeping him around. Don;t like him? Ignore him and talk to the other instructors on the lot.